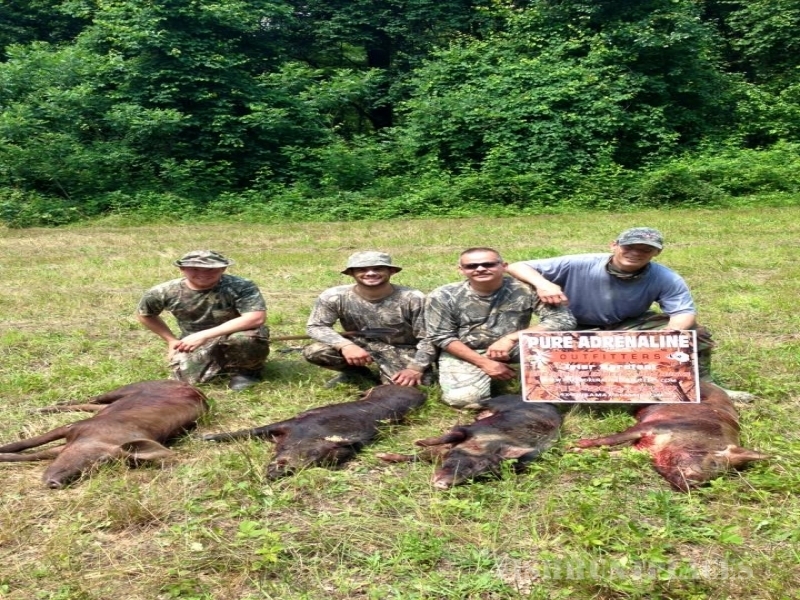 We specialize in deer and hog hunts. 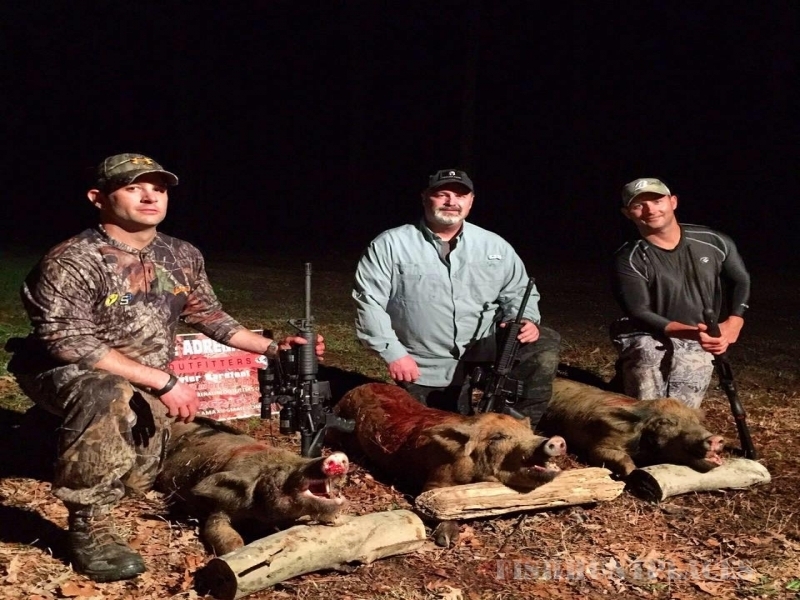 Our hunts take place along the Neuse River's pines and swamp lands of Johnston County, North Carolina. There is an abundance of wild deer and hogs that roam these lands. 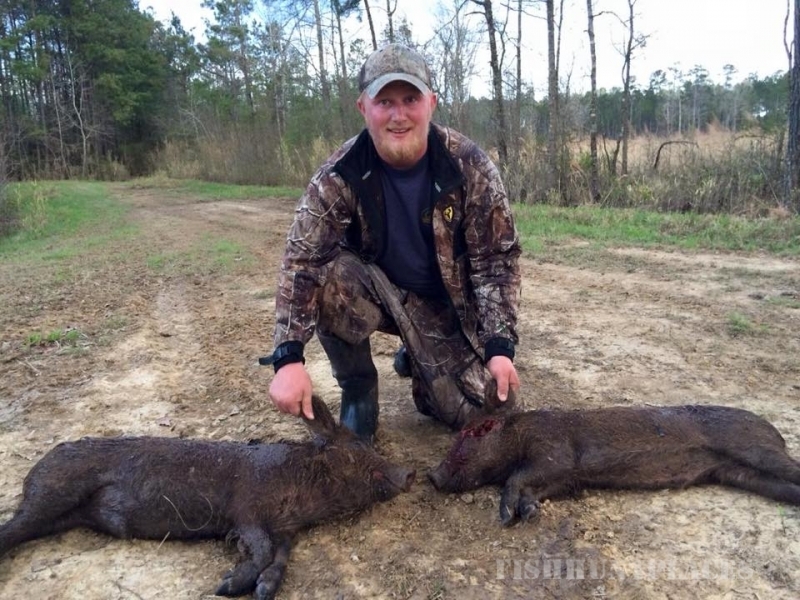 We manage our game quite well to have plenty of trophy hogs and deer for our clients to have a chance to hunt. Our whitetail deer hunts take place over corn, soybean fields, food plots, cut overs, thick pines, and low swamp areas. Deer hunts start in the morning before light and end around lunch time. Then head back out around 2:00 PM and hunt till dark. Our duck hunts start in the early A.M. before sunrise. Hunts will take place over flooded timber, swamps, and our new impoundment. We shoot a varity of species of ducks including Mallards, Wood ducks, Teal, Ring-necks, Black ducks, Wigeon, and Mergansers. Decoys will be provided. Hunters will need Waders, Steel shot, duck calls, a NC Hunting License, and Duck Stamp. Come enjoy a memorable duck at Pure Adrenaline Outfitters today!